Chrome Wire Shelving Carts | David's Inc.
Genuine Quantum Chrome Wire Shelving Mobile Carts. 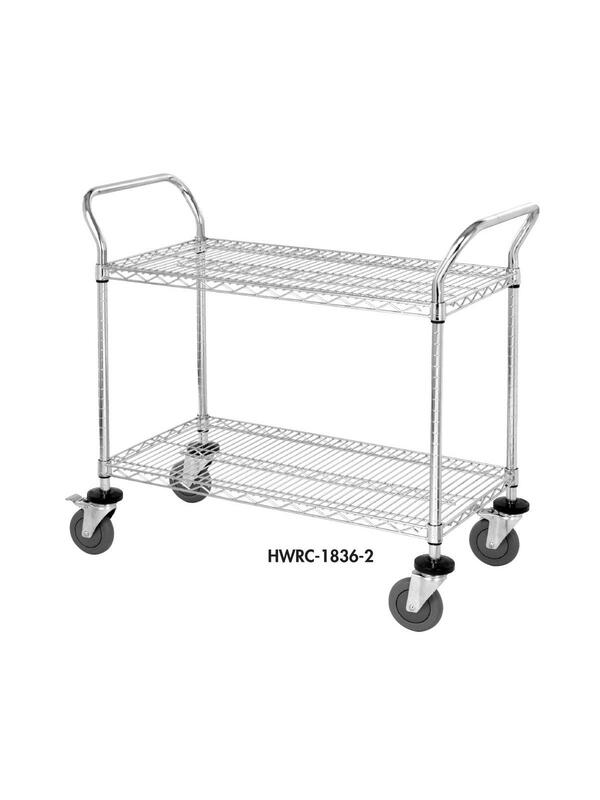 Heavy Duty wire shelving mobile carts resist corrosion, prevent the build up of dust and dirt, improve the visibility of stored parts and allow for sprinkler penetration and ventilation. Carts support 1200 lbs. Cart comes complete with four casters in a two or three shelf configuration. FOB Shipping Point. 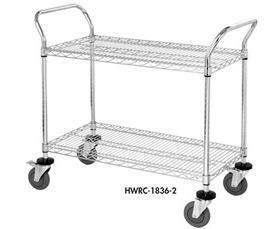 See Related Items tab Chrome Wire Shelving Unit Accessories and Wire Shelving S-Hooks. Items may be subject to current China tariffs in place. Please contact us. 18 x 36 x 37-1/2"18 36 37-1/2"